In an era characteristically defined as "uncertain", there is one fact that every industry can agree on: artificial intelligence (AI) will be one of the most disruptive technologies of the next decade. The global business value derived from AI in 2018 will be $1.2 trillion, an increase of 70% on last year’s figure, according to Gartner. It will continue to grow over the next four years, reaching $3.9 trillion in 2022. 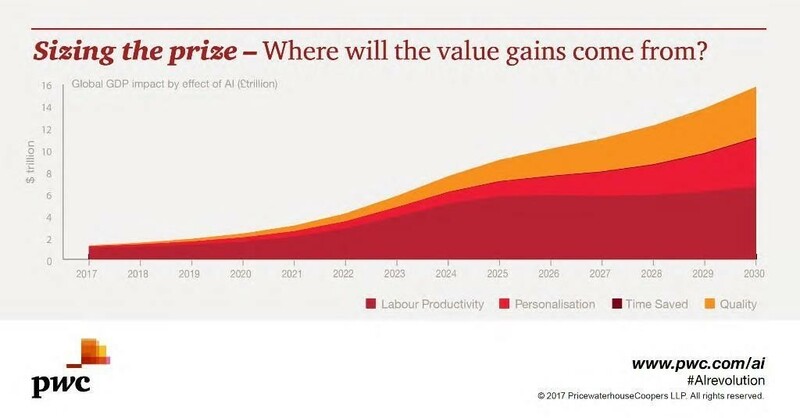 Global GDP will be 14% higher in 2030 as a result of AI, estimates PWC. That’s the equivalent of an additional $15.7 trillion - more than the current output of China and India combined. This forecast growth is exponential. These predictions make AI the biggest commercial opportunity for businesses in today’s fast-changing economy. Though some AI predictions succumb to the hype, occasionally verging on the hysterical, in reality we are witnessing the evolution of smarter humans accompanied by smarter machines. A better way to cut through and make sense of the noise is to reframe AI as augmented intelligence, rather than artificialintelligence. Instead of falling for the common narrative of a new technology that is here to take jobs from people, why not see AI's ultimate goal as assisting people in doing their jobs better and more effectively than before? That’s where the real innovation will happen.